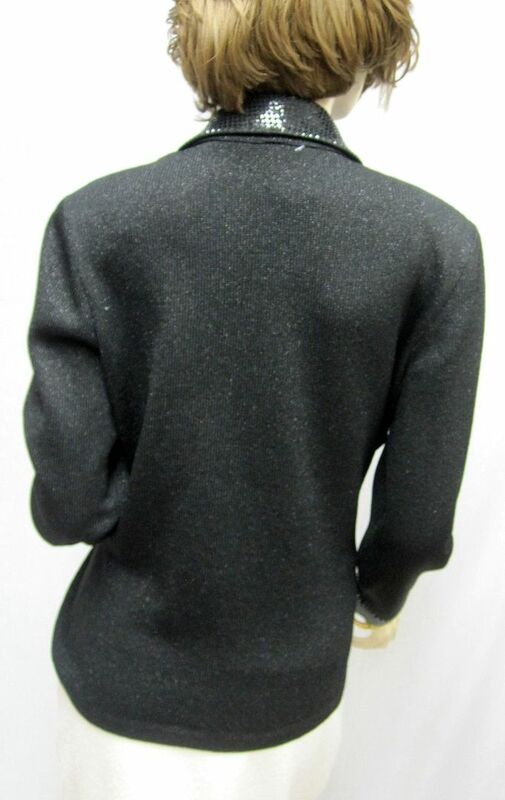 Click the button below to add the St John EVENING NEW Black Shimmer Paillettes JACKET SIZE 14 to your wish list. 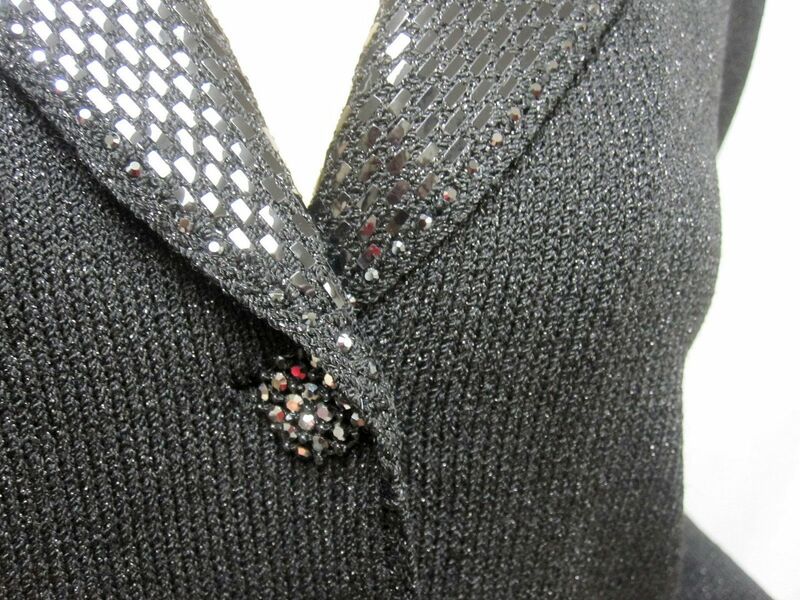 This is a gorgeous santana knit jacket with a lapel collar. 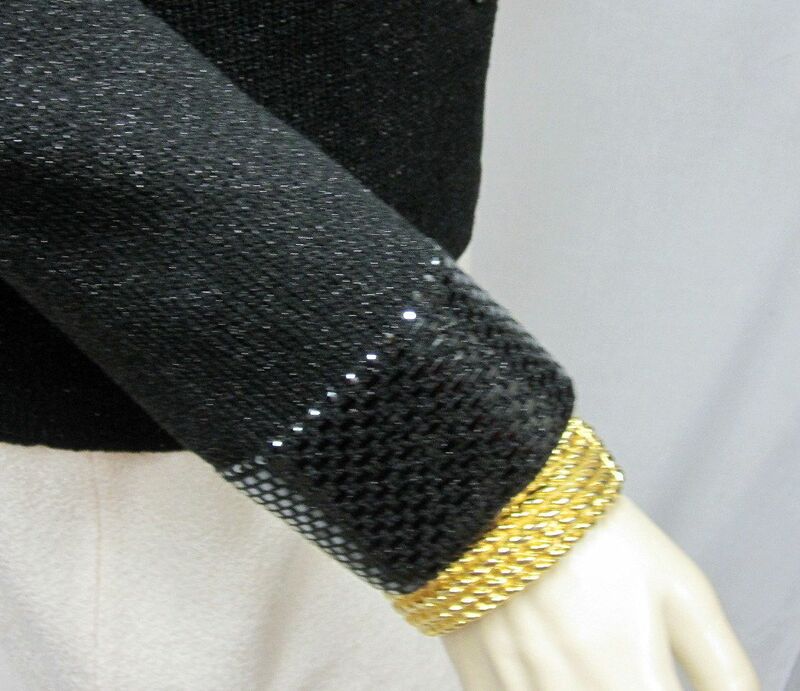 trim on collar and sleeves. GORGEOUS WITH ALL! Shoulders: 17" Bust: 42" Waist: 40" Hips: 45" Length: 25" Sleeves: 23"